(1)(Red), Tap: Destroy target artifact. 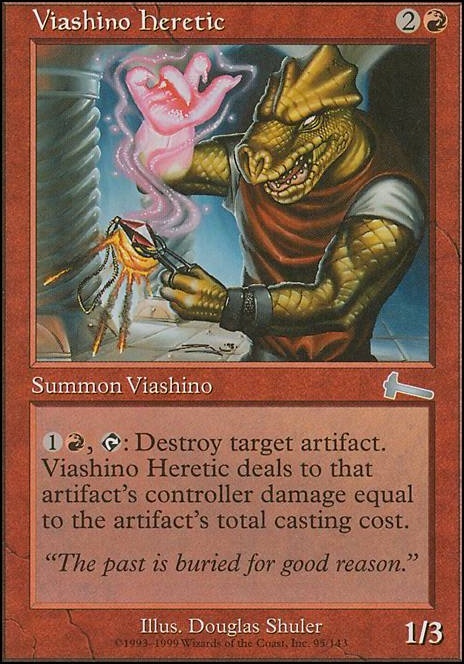 Viashino Heretic deals damage to that artifact's controller equal to the artifact's converted mana cost. 54 out of 100 foils, over half way there! People really shouldn't do this... lol. I have some additional changes I'm thinking about too. Search for Azcanta Flip is a nice early drop to start getting the ball rolling but just feels underwhelming overall. Looking at Stitcher Geralf as a possible replacement. Hoard-Smelter Dragon is one I am much more on the fence about but I'm thinking Viashino Heretic would be better for this deck. 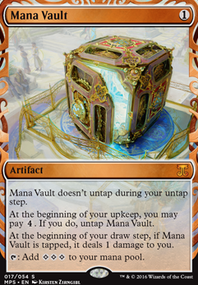 Kind of a toss up between the two... one takes more mana but the other requires tapping. 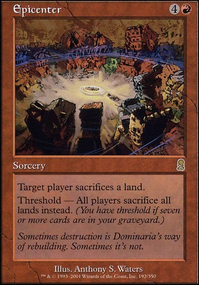 Just for standard good red EDH cards, have you considered Viashino Heretic or Stranglehold? For a sac outlet maybe consider Phyrexian Altar over Altar of Dementia. It costs more, but the mana may be more important than the mill. Also Semblance Anvil may be good in your deck. 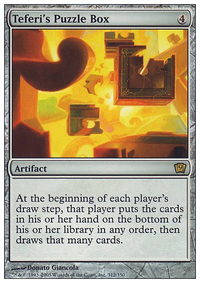 Exile an artifact creature under it, an all your creatures and artifacts cost less. Fixing mana issues and other changes. 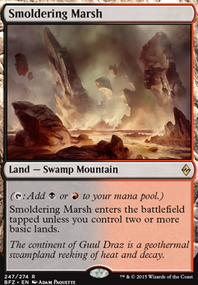 Shinka, the Bloodsoaked Keep is objectively better than a regular Mountain in most scenarios. I really like the Duergar Hedge-Mage, but I want to add more nonbasics, so it will become less and less reliable. Viashino Heretic is more practical. I don't like the 3W required to cast Angel of Jubilation. On the other hand, Darksteel Mutation is cheaper, more broad in function, and completely hoses certain commander-reliant decks. 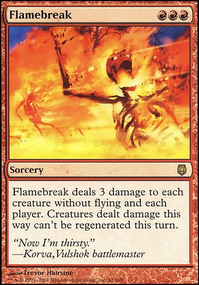 +1 Cool list, some of the one time burn creatures may be a little under powered in a 40 life format though. I run a Mogis, God of Slaughter deck that runs pretty quick, might be worth a look if you like this play style. 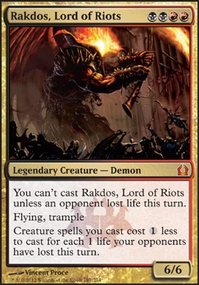 Some mono red all stars in my deck are Kazuul, Tyrant of the Cliffs to keep people from swinging at you when you piss them off, Viashino Heretic for removal and more burn, and more punish enchantments like Manabarbs, Burning Earth, Spellshock and Citadel of Pain. Any of those I think would slot in nicely to this list.